The next step in detoxification involves the gall bladder. The gall bladder is the container for bile. Bile is a byproduct of the liver that aids in the digestion of fat. Since bile can contain as much as 85% water, dehydration can be a contributing factor in gallstones. The more concentrated the bile, the greater the risk of stones. When fat passes the bile duct, bile is released to aide in the digestion of fat, which keeps bile flowing. A low fat diet can decrease bile flow. 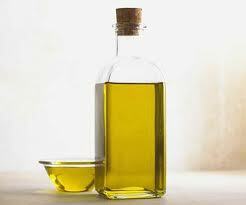 It may be helpful to take a tablespoonful of olive oil daily to aid in bile flow. Some individuals perform a liver/gallbladder flush of which there are many variations. The program involves drinking apple juice (acetic and malic acid) with Super Phos 30 (phosphoric acid) for 3 days. On the evening of day 3 you mix and drink one cup of olive oil, one cup of coke and the juice from one lemon. You then lie down on your right side in the fetal position for 30 minutes. The acids are supposed to demineralize gallstones, and soften them so they can be passed. The oil and coke mixture passes the bile duct causing the expulsion of the contents in the gall bladder. Many will report passing stones. Once you have ensured that your gallbladder has been emptied then you can move to a liver support product. The last thing you need is to use liver support that will increase bile production before you have regular bowel movements and good bile flow.